But why? It's something of a curiosity. For a start it's abridged. Nor is Suliotis up to the demands of the music, "making effects by power rather than subtlety" in Andrew Porter's phrase. I have it already in rare CD format that includes misc arias to fill out 2nd CD, but the reduced price of Decca Eloquence is a great deal, this should not be out of print! Last edited by DarkAngel; Oct-29-2014 at 21:54. I'm afraid that it just sounds like imitation Callas to me. Many of the gestures are there, but not the thought behind them. I'd rather hear Caballe (live in Orange) doing it her own way, than someone just copying another singer. The Suliotis recording I love is her early-sixties Decca Nabucco. I love it because her voice sounds like Maria Callas' would sound ('almost,' as the ingenious voice inflections and color isn't there). But that's Nabucco, and not Norma. Abigaille and Norma are like apples and screwdrivers. Just because one can do one certainly doesn't guarantee one can pull off the other. Last edited by Marschallin Blair; Oct-29-2014 at 23:34. For one brief shining moment.... all right I borrowed that from Camelot... but I always think that when I hear this Nabucco. Suliotis gave it her all in this recording-- and it shows. In this performance she is absolutely FIIIIIIIIIIIIIIIEEEEEEEEEEEEEEEEEEEEEEEEEEEERCE-- and I love how Decca captured the timbre of her stentorian declamation and high end for the ages. But the 1949 Callas?-- the color, contrast, and demands of coloratura are exceeded beyond belief; and then of course she interpolates a jaw-dropping top Eb into the duet. Last edited by Marschallin Blair; Oct-30-2014 at 00:11. I think part of the excitement with the Suliotis Nabucco is that she sounds as if she might go off the rails at any minute. She doesn't, but the singing is reckless and wild and later she payed for it. By contrast Callas sounds completely in control in that 1949 performance. That she can be that exciting whilst still being in control of her instrument is just phnomenal. Still, as I've pointed out before, she never sang the role again, and told Caballe it was a voice wrecker. Maybe she was right. Last edited by DarkAngel; Oct-30-2014 at 02:13. And his Lohengrin with Act 2 not split up between 3 discs. Ridiculous. Last edited by Itullian; Oct-30-2014 at 02:19. Last edited by Pugg; Oct-30-2014 at 06:02. Well yes I take your point. Bartoli is absolutely no Norma. 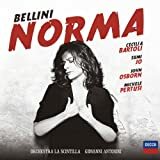 I do agree that Suliotis is still in reasonable vocal shape on the Norma, certainly a lot better than she is on that disastrous Macbeth, where there are not so much breaks between chest and head voice, but yawning chasms. Her Norma is certainly not terrible. I just feel that there is no real depth to her characterisation of Norma. Too many of the gestures seem to be copied from Callas; applied rather than felt. She makes them for effect, not from any real insight. When I listen to Caballe in that duet with Vickers, her choices seem entirely her own. She still treats it dramatically, but her use of chest voice (and unlike Sutherland she does use her chest voice) is better integrated into the rest of the voice. With Suliotis I hear too much of a difference between that baleful chest and the almost bell-like top. It works for Abigaille because the role abounds in contrasts, but is not so effective in Bellini, where the singer really needs to bind together the long line. Still, as a representation of the opera, the cuts put it out of court anyway. By the time it was released, Decca were already losing interest in her. Maybe the cuts were not made in the interest of getting it onto 2 LPs, but because they never finished recording it. I'd be interested to hear from someone in the know. It did seem at one time as if Decca were actively looking for a second Callas, and trying to get there before anyone else did, first with Suliotis and then with Sass, neither of whom lasted long. Last edited by GregMitchell; Oct-30-2014 at 09:28. Come on Sony, it's about time to release this on C.D! Agreed. I remember Popp's fantastic final scene! 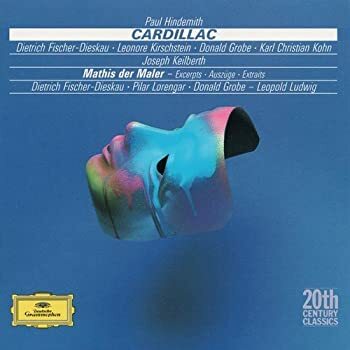 I'd love to see this 1968 studio recording of one of Paul Hindemith's finest works re-issued, but with libretto this time. 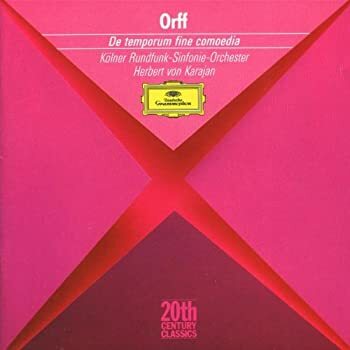 There is a German radio broadcast featuring near enough the same cast available in Opera D'Oro's Grand Tier series with libretto included, but I gather the recording's in mono which rules it out for me unless I get desperate. And I'm not forking out for both! It's available. One of the best "Lucia's" on CD. Better than Sutherland's last recording.